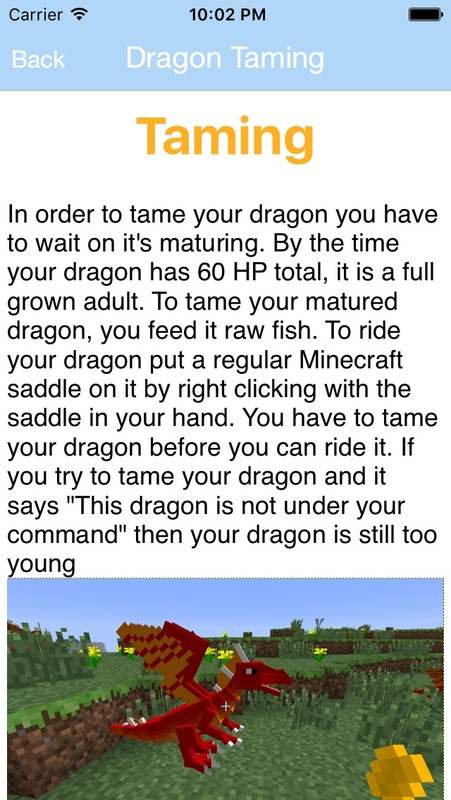 *** GET DRAGONS FOR MINECRAFT AND RIDE THEM!! *** Do you want to play with dragons? 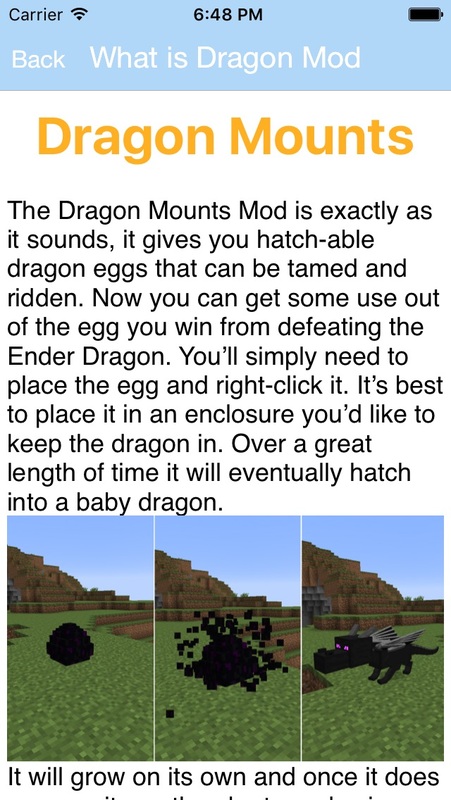 With this Dragons Mod you will be able to not only befriend dragons but to hatch dragon eggs, Fly on the dragon, Ride the dragon, Befriend dragons & Tame the dragon to make it follow and protect you like other pets. We got tons of dragons to choose from. 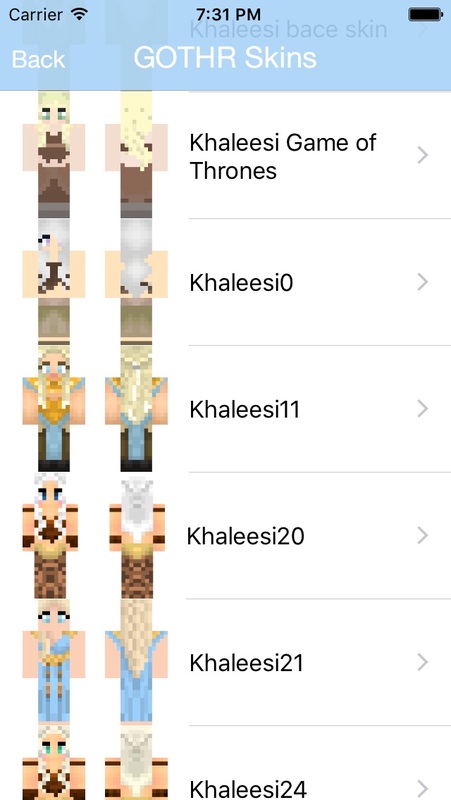 Not only that we have 200+ exclusive Game of Throne Edition skins. Now how about you riding a dragon with one of your favorite character? Make your friends jealous! 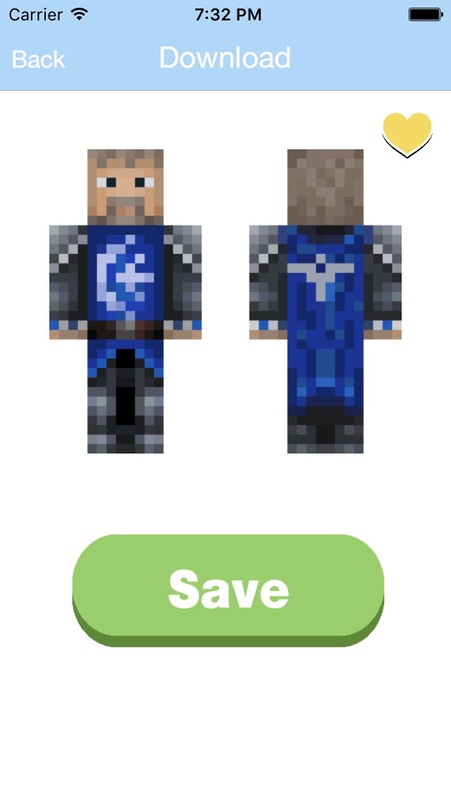 Skins are compatible with both Minecraft PE & PC Download Now! NOTE: This app is for Minecraft PC & Mac edition only. 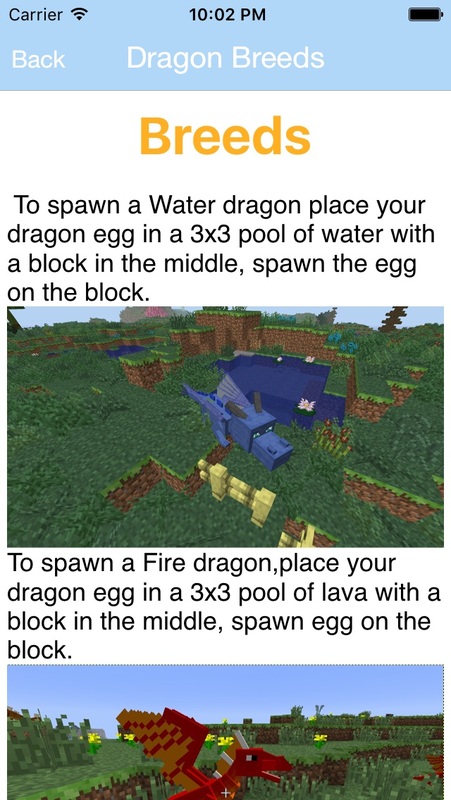 You can not directly install minecraft dragon mod using this app. This app serves as a guide. Disclaimer: This application is not approved nor affiliated with Mojang AB, its name, commercial brand and other aspects of the application are registered brands and the property of their respective owners. This is an unofficial Minecraft app. well... why not an ipad mobile edition too? Pls fix it. Only wrks in PE. Waste of 💵. Not for Minecraft PE - garbage, I want my $2.99 back.